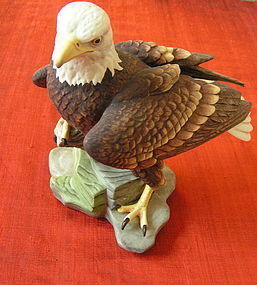 In its original box this limited edition bald eagle created to "Celebrate the Inauguration of the 40th President of the United States President Ronald Regan and Vice President George Bush, Inauguration Day January 20, 1981"; numbered 498. Measurements: H 9 1/4", W 9 1/2". Priced for quick sale. 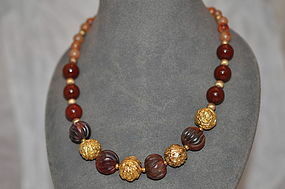 Necklace with old carnelian and old embossed gilt beads. Each necklace is specially designed. Length: 16". 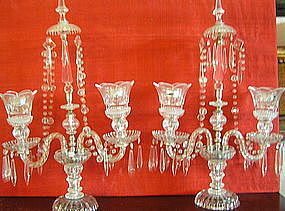 Very handsome pair of pressed glass two-flame girandoles. Early 20th century. Wired. Measurements: H 23", W 14 1/2". 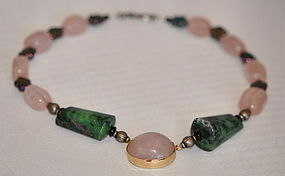 Fashioned with old, shaped rosequartz beads, two elongated jasper beads interspersed with vintage floral-shaped enamelled glass beads and a cabuchon style rosequartz in the center mounted with gilt silver. 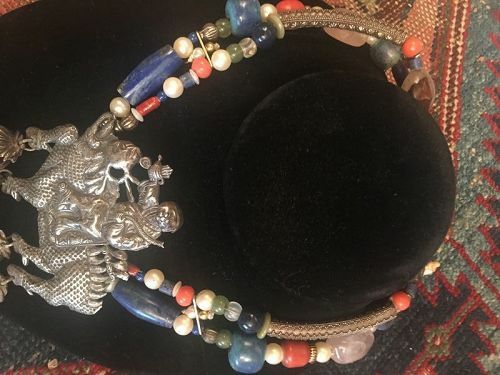 The necklace has been specially designed by The China Coast. Approximate length: 14."